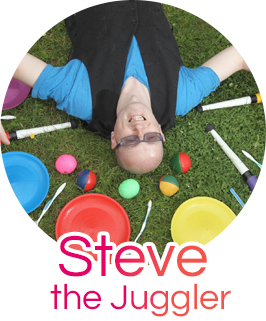 This page contains the links for all my Convention Reviews and details of the Juggling Clubs and Juggling Charities I have been a member of over many years. Enjoy! These links can also all be found in the MORE RESOURCES section of the dropdown menu (above). I have been attending Juggling Conventions ever since 2002 and posting reviews on this site as soon as I have returned. Enjoy! If you have never visited a Juggling Convention before, then you may want to start by reading my article – What Happens at a Juggling Convention. Wherever you are in the world, if you would like to know where your nearest Juggling Club or Conventions are, then please get in touch and I will be happy to help! If you will be attending any of the above Conventions (SJC, BJC, EJC) in the future, then please let me know so I can say hi!